I have seen Wicked before, it blew my mind. But that’s what happens when a much loved tale is turned on its head. I grew up watching and loving the Wizard Of Oz . A tale of good conquering bad, a clear cut story of goodies and baddies. I adored it, who doesn’t love a couple of hours of pure indulgence watching the great Judy Garland and all things sparkly? After watching Wicked you will never see The Wizard Of Oz in the same light again. Based on the novel by Gregory Maguire, Wicked is not a prequel to the movie but a re-imagining of the same world. Wicked places many harsh realities into the saccharine world of Oz which gives it a much more sinister, harsher feel. Yet it’s done in the most spectacular way. 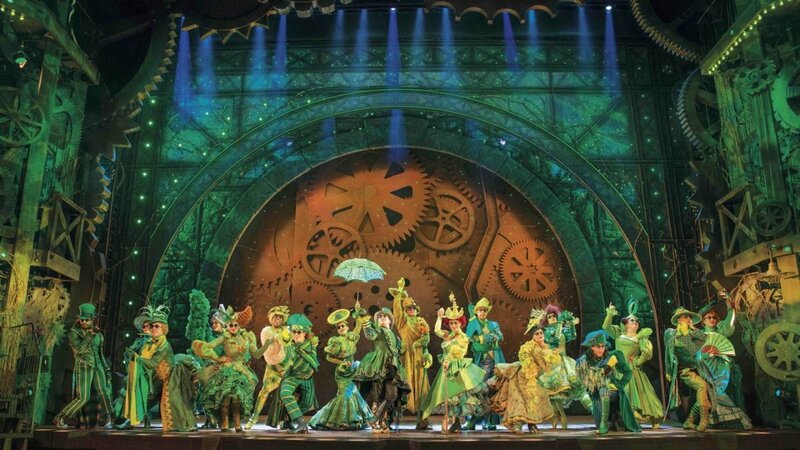 Wicked is the 5th longest running show in the West End and has been seen by over 50 million people worldwide, having won over 100 major awards. 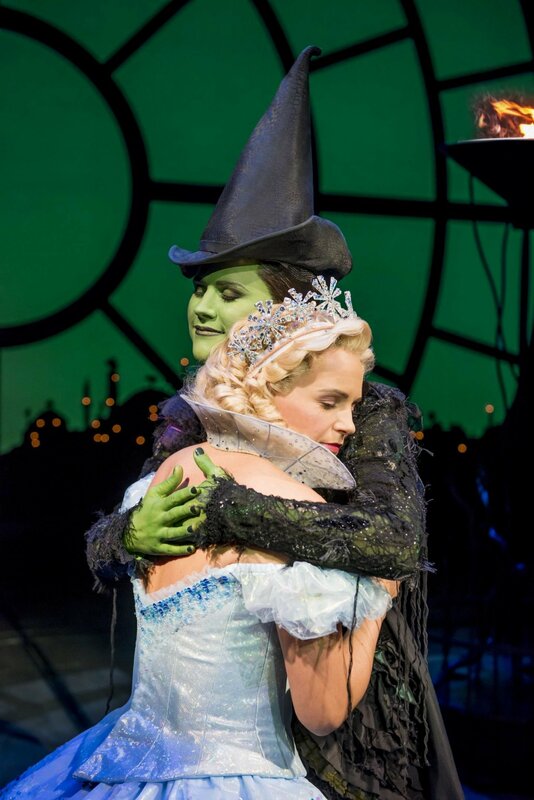 Glinda (Helen Woolf) and Elphaba (Amy Ross) meet on their first day of university and instantly take a dislike to each other. Wicked tracks their university life and how two people so very different can forge a friendship. On Elphaba’s part for trusting Glinda’s actions and intentions of being good rather than out of selfishness and mockery. However intended the girls form a strong and unlikely friendship which brings them into the path of the Wizard (Steven Pinder), the great man ruling the Emerald City and Oz. But like everything in this incredible story, the Wizard is not what he seems and is slowly bringing the love for power, superiority and prejudice of the human world into Oz. Elphaba is outraged by his intentions and the potential changes his prejudice will bring upon her world. Where as Glinda seizes the opportunity to shine in times of unrest despite the concequences. Growing up thinking Elphaba is the Wicked Witch of the West was a given, so to find out after all these years she was quite the opposite as was Glinda is heartbreaking. Ok it’s not real, but some things you bring from childhood feel sacred. And this was one of them, the Witch Was Wicked. She was green and Wicked, when in fact she was beautiful and kind. However, life did not accept her, portrayed her a something she was not. 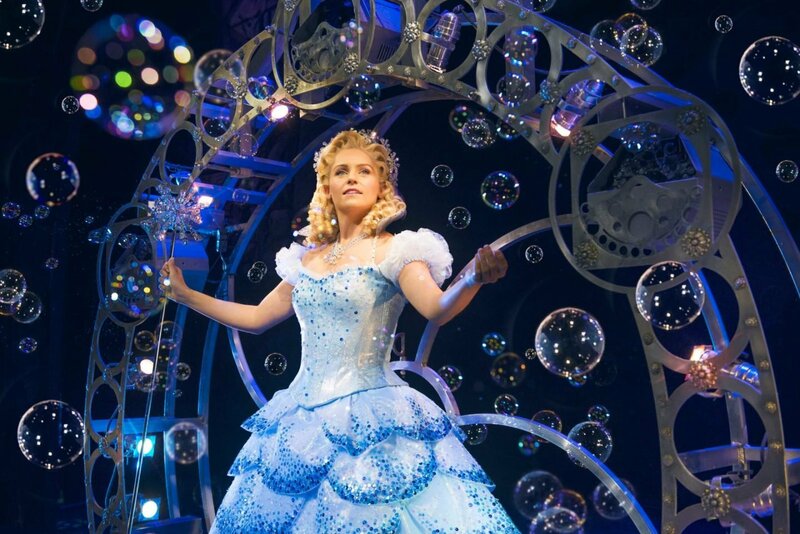 And Glinda with all her sparkly beauty was great at seizing opportunities to climb the ladder despite who was hurt. Yes, fundamentally she was not a bad person just greedy for fame. The whole production is nothing short of spectacular, the staging and effects are stunning and the voices and choreography are astounding. 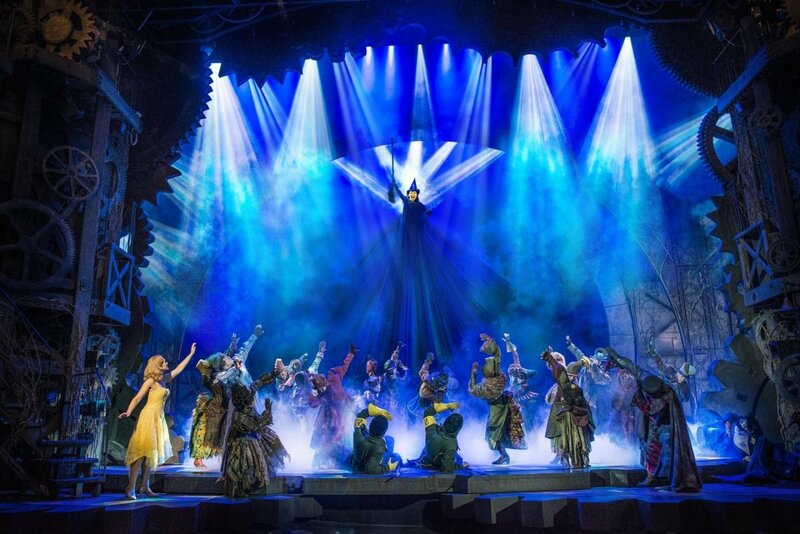 Wicked is playing at the Palace theatre until 5th January 2019. You don’t need to know the Wizard of Oz to love the show. But if you do, I warn you, you will leave loving Wicked and its gritty reality more than the original film. It is truly a work of art on every level. Armed with the truth of Wicked, which is a tale I can never un-see, I am fiercely placed in team green. 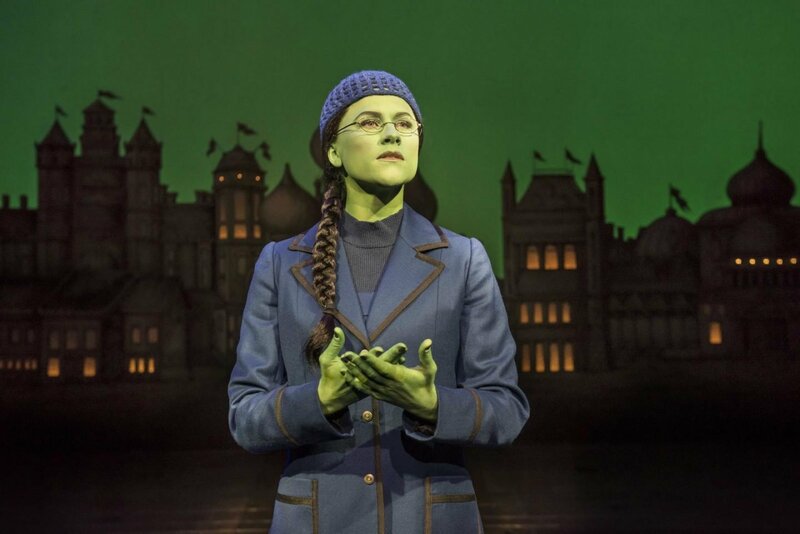 Elphaba is everything you want a strong, beautiful woman to be. And the sort of person you would want as your best friend. I just feel sad I thought she was bad all those years. I was gifted the tickets for review purposes, but my opinion and love for a show so spectacular that I could watch it all again today are real. 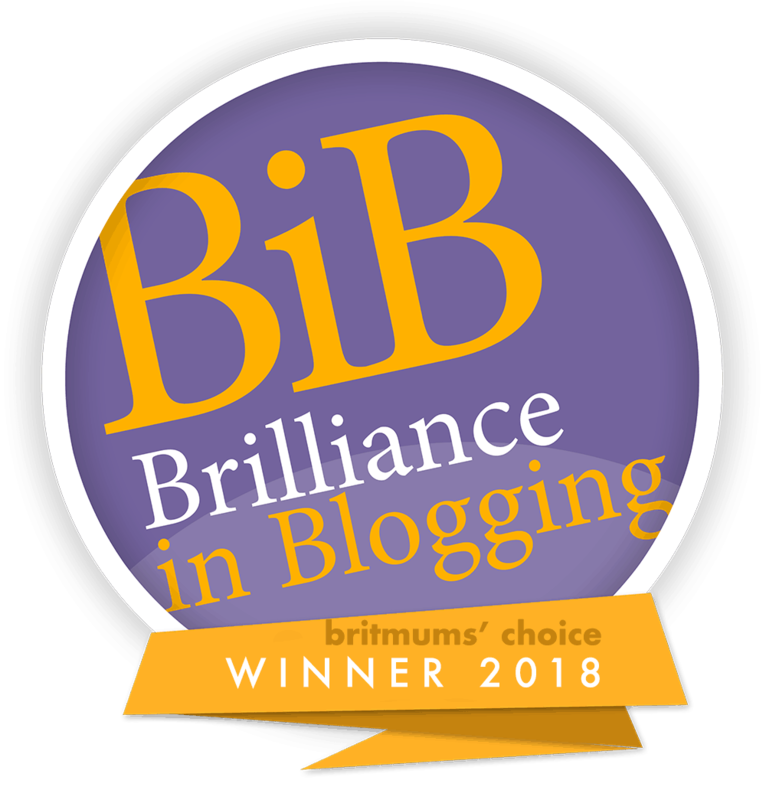 Click here for more show reviews. Previous Post Creating Santa’s Footprints And A Footprint Template.